Candle Torch by Petite Friture is an enamelled ceramic candle holder for indoor and outdoor use. Its box-like shape protects the flame from draughts and reflects the light powerfully and directionally, almost like a flashlight. 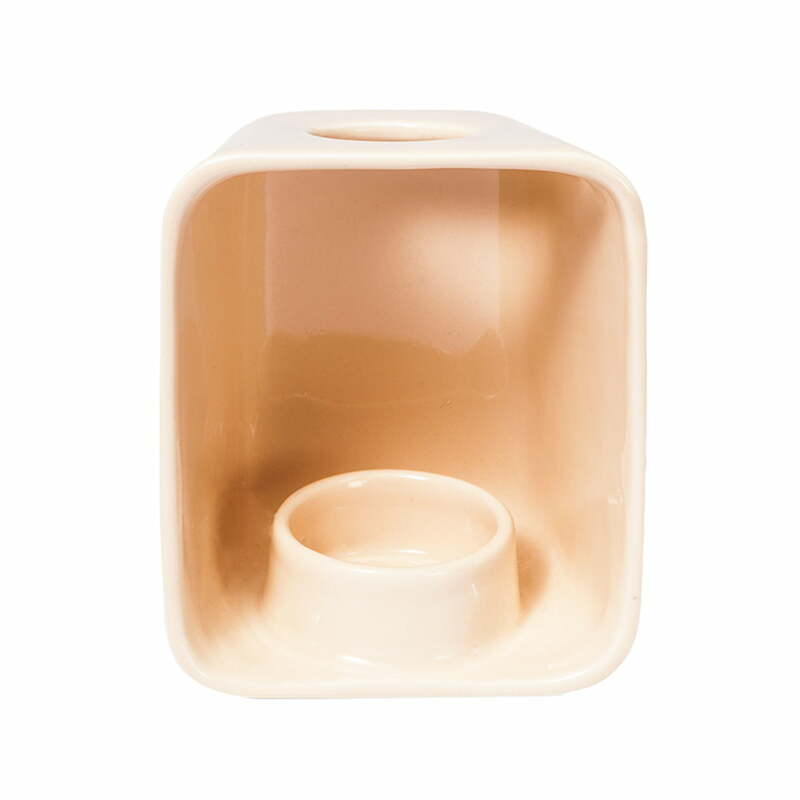 The candle holder was designed by Andreas Engesvik. 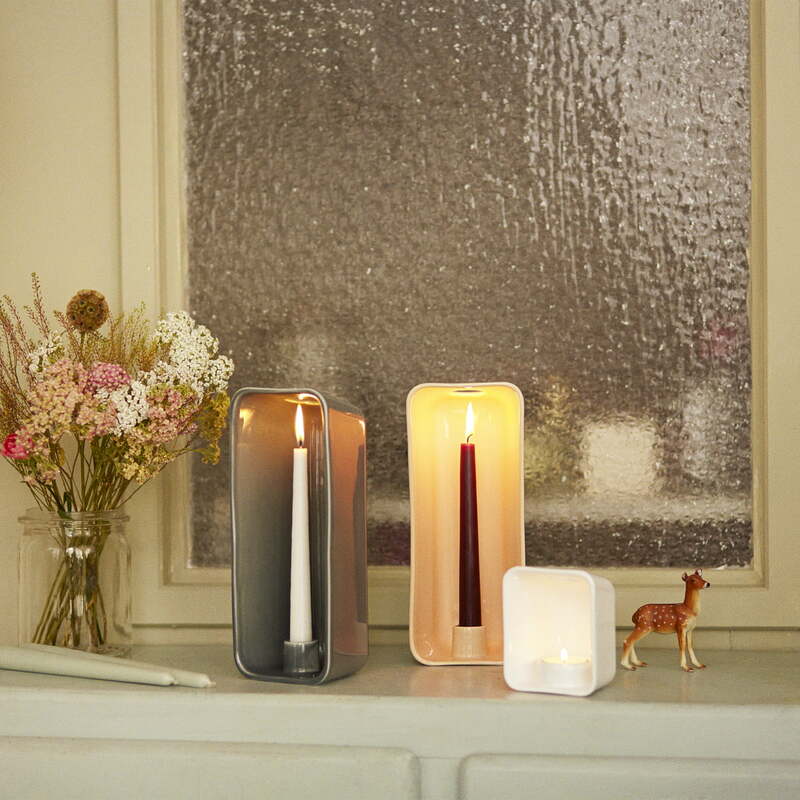 Depending on the version with a stick candle or a tea light, Candle Torch provides a cozy atmosphere in the ambience. Placed on the chest of drawers in the hallway, the windowsill in the bathroom or the sideboard in the living room, the candle holder can be stylishly arranged. Available Candle Torch for tea lights or candles in different colors. Candle Torch tea light holder by Petite Friture in single view. The tea light holder is made of enamelled ceramic. It was designed by Andreas Engesvik. Candle Torch by Petite Friture in the ambience view. The box-like shape protects the flame from draughts and reflects the light almost like a flashlight.